Question.... I Notice that my '06 ISS has Fog light connections in the front bumper (with NO Fog lights lol), but does NOT have a fog light switch, it has a rear dome light switch. Has anyone encounter this before? 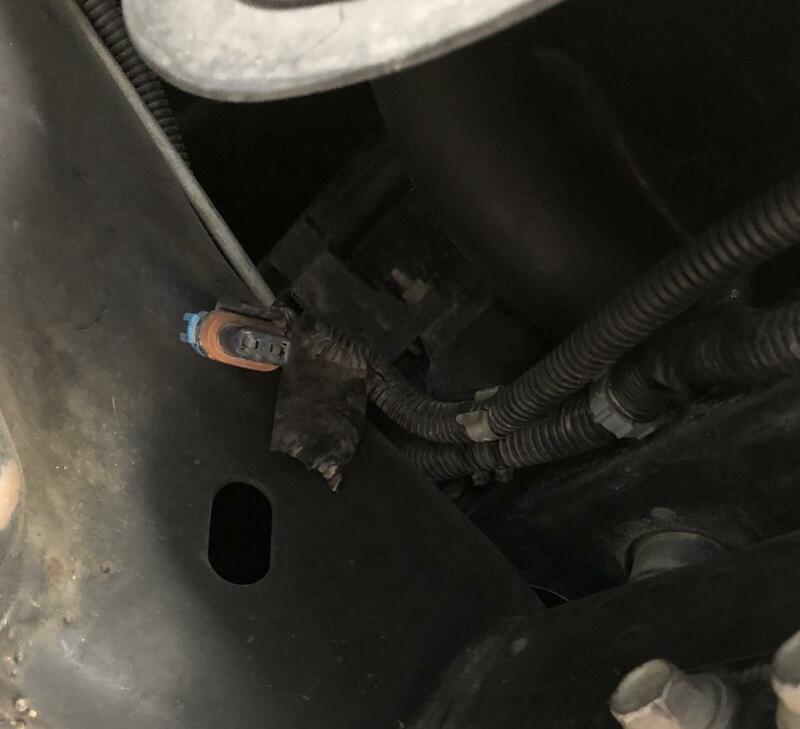 and if so, did you just purchased the fog lights and connected them and replace the rear dome light switch to dome/fog light switch? and did it work? I am wondering because if someone encounter this and worked for them, I would like to add Fog Lights. Let me know what you think.. Thanks! I have an 04' and I'm wondering the same thing as well, i would like to add fog lights but i haven't checked underneath to see if the wiring is there, is it just 06' specific? only people i've heard that have done that mod have 06' trucks..
All year SSS's basically have the fog light harness since the factory isnt going to remove that just for the SS. I did my fog lights with mine. You can buy the fog lights on ebay for nothing, then just have to make your own brackets to hold them and your done. You will have to buy a new cargo switch box with the fog light button. I have mine that i cant use anymore as I have a blower and the intake is where the one fog light would be. Thats a simple pop out the old one, and plug in the new one and snap the unit back in the dash and your done. there is a thread about the fog lights and I put up pics of How i mounted mine, and what I used with measurements. Its here somewhere. The whole install to get things perfect took me like 2 hours since i wanted it to be perfect. Heres the foglight assemblies you need. Do not use the bulbs if they come with them. Mine turned black and broke. Just a heads up. I might also be interested on doing these... on another note, dont want to jack the post but if anyone knows the part # for the small lower valance on the 1st pic of the link provided plz let me know... I have been looking for one of those for my truck but cant seem to find that exact one.. I know there are 2 versions for that one, the HD version which is a little bigger than that one and that smaller one (its the very small air deflector right under the main bumper plastic right at the bottom just that little strip of plastic) any help on finding that one will be appreciated.. thanks! Thank you guys very much for your HELP! you guys answer all my questions and most importantly added the links to show us how to do this. I didn't want to cut out my ducts as well, now I know how to build the brackets to mount the fog lights! Again thanks! Thanks! I checked today under my truck and just off first sight i didn't see anything or a harness? How is it supposed to look like? The harness is tucked up toward the front bumper and hidden. I had to literally take my hand and a flashight and wiggle wire loom around and down the harness fell. With the link provided, you dont have to remove your ducts. I didnt. I just used some 4 Inch straight brackets that had pre drilled holes in them fro lowes, got some nuts, bolts and washers and cut down the brackets to where I needed them. Once you start, you will see during mock up on length the brackets need to be. I did one side and just copied over to the other. There was another thread where I had my pics of my brackets, length and part numbers so it was 1 2 3. Then the finished product of the lights installed on, and the replacement switch that you just plug in where your cargo light panel is. No need to have to go into your fuse box other then to add the relay. Tried to find a link that I posted pics on and my little how to. That was back in 2012. I cant find it. Ill have to look thru my backup for my computer and i can dig up the pics. All I can tell you is the brackets are straight and already have holes in them. They are the perfect lenght with just a little trimming needed, they are thick as well. The hole lined up perfect where the foglight met, and the bracket met to the OEM mounting for the foglights. thanks for the all the info you provided. I will be texting you later on to get the picks from you.